I named this image “Ghost Walkers”, thinking it was a pretty clever title. Don’t they just float around making noises similar to a cow giving birth? 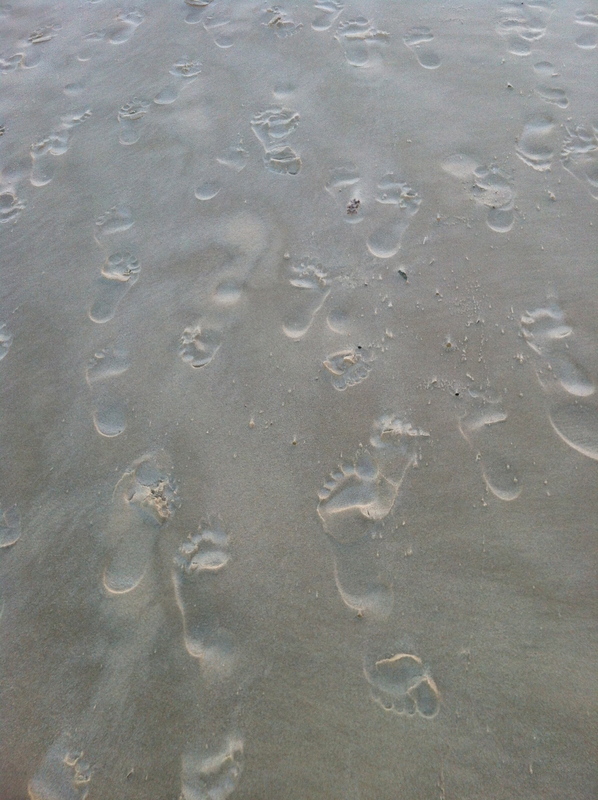 Hmmm…I guess these COULD just be human footprints. Kinda ruins the theme of the post though. Oh well. It kinda looks like the rising sun has been skewered, ready for the BBQ. Or maybe an alien figure…see the round head on top and the body below? 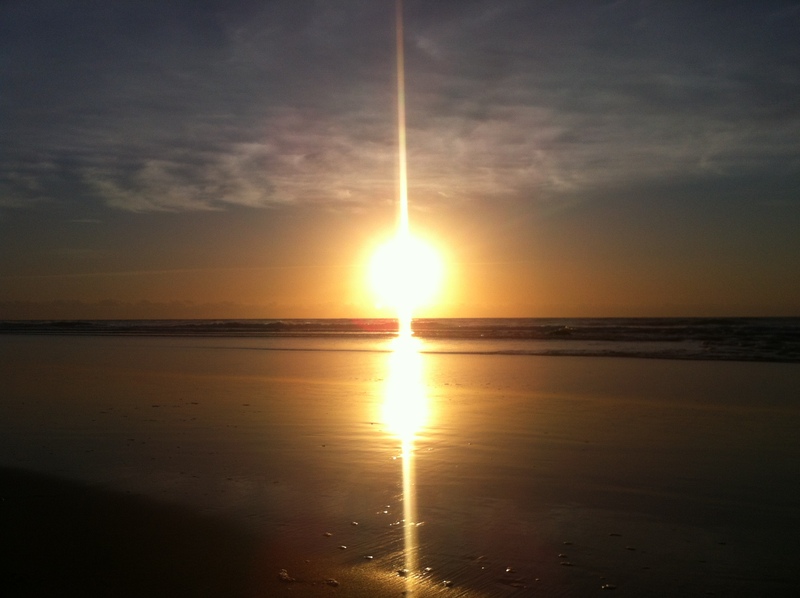 Or maybe it’s just a sunrise shot that’s gone wrong. Yep, I think that’s it.